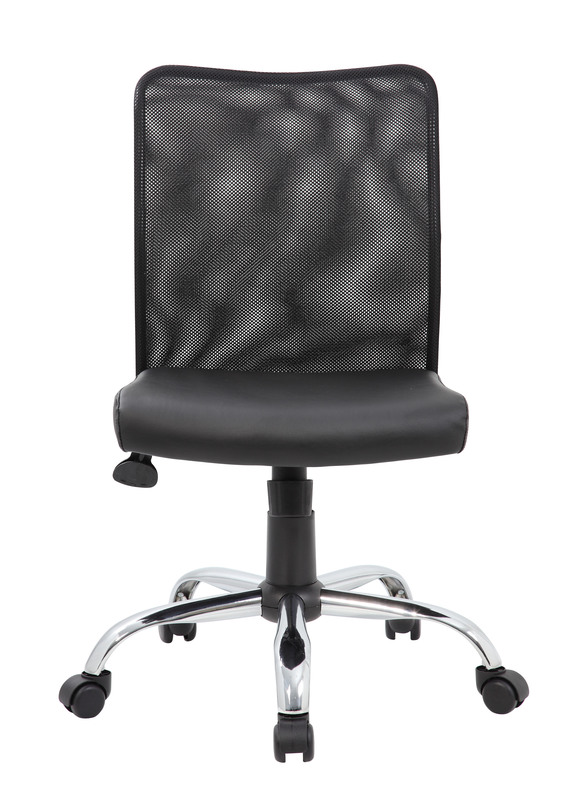 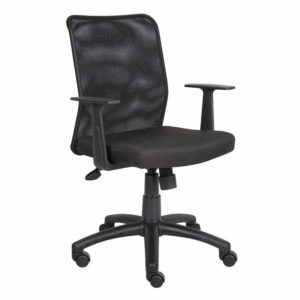 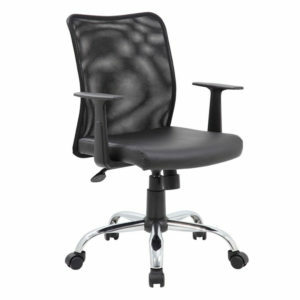 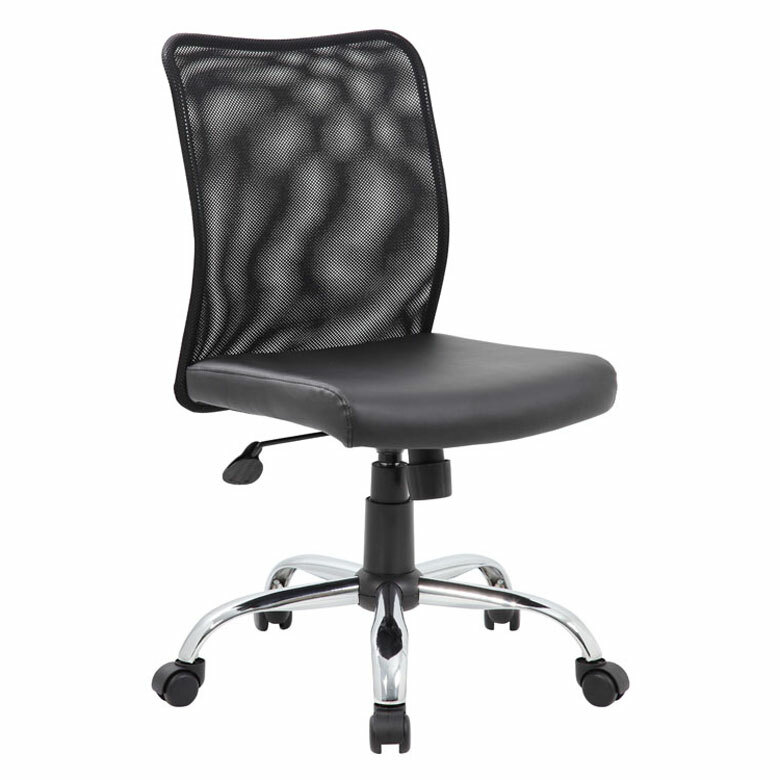 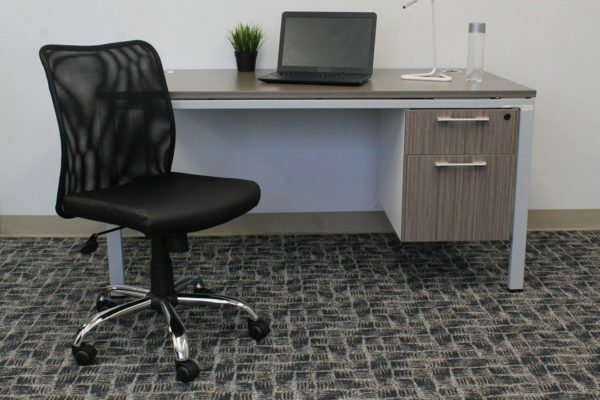 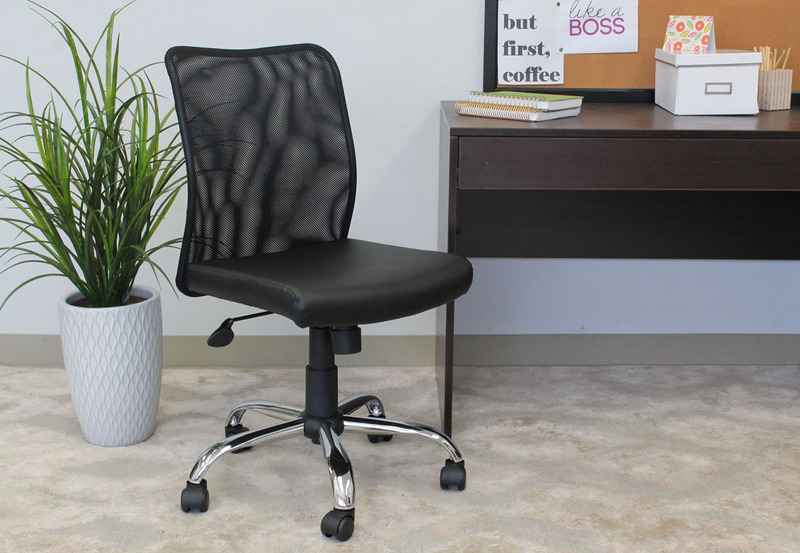 The budget mesh task chair is the perfect blend of a comfortable and professional design. The chair itself is created with a mesh backing for ultra-breathability, while the seat is designed with a solid, classy black vinyl. It also features a 25 inch chrome base with 2 inch nylon dual wheel castors for a smooth roll. 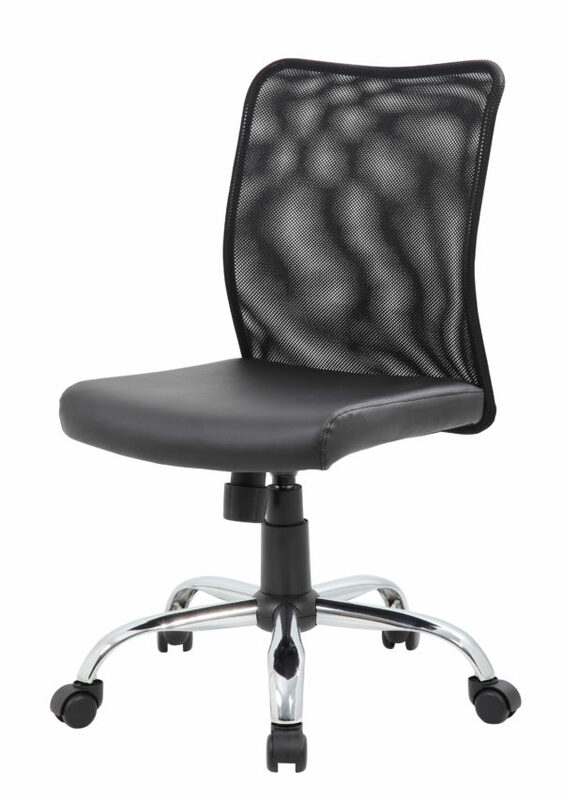 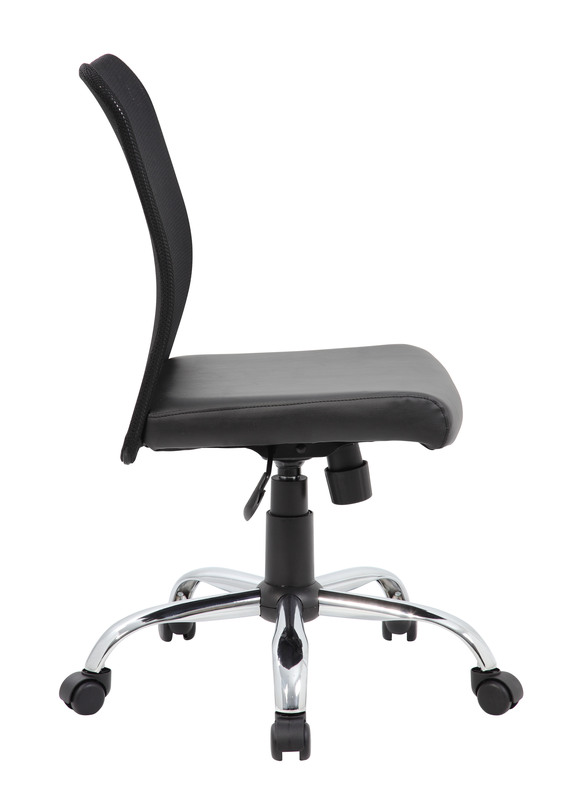 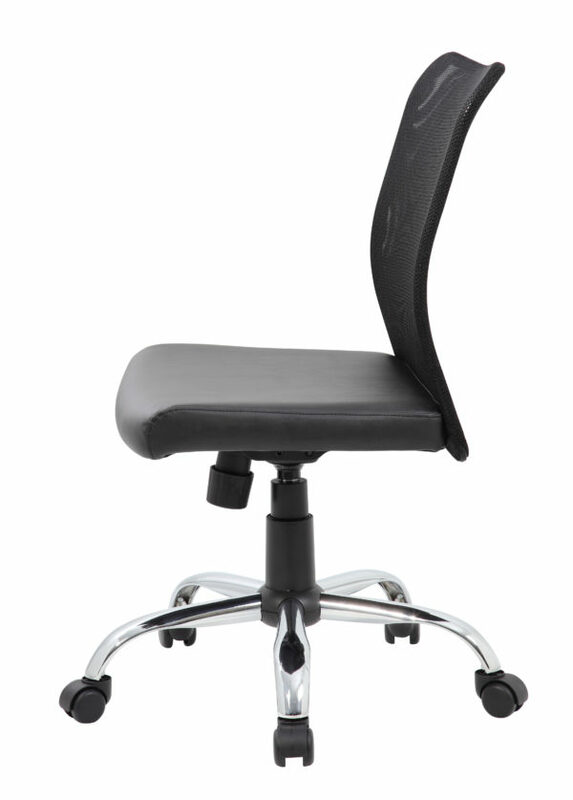 The chair offers fantastic features such as a pneumatic gas lift that allows for easy adjustable height, as well offering a spring tilt mechanism, tilt tension and an upright lock.